One of the great things about working in the culinary field is finding the best products, and then getting to eat them. Not far behind these products you almost always discover an exceptional individual. 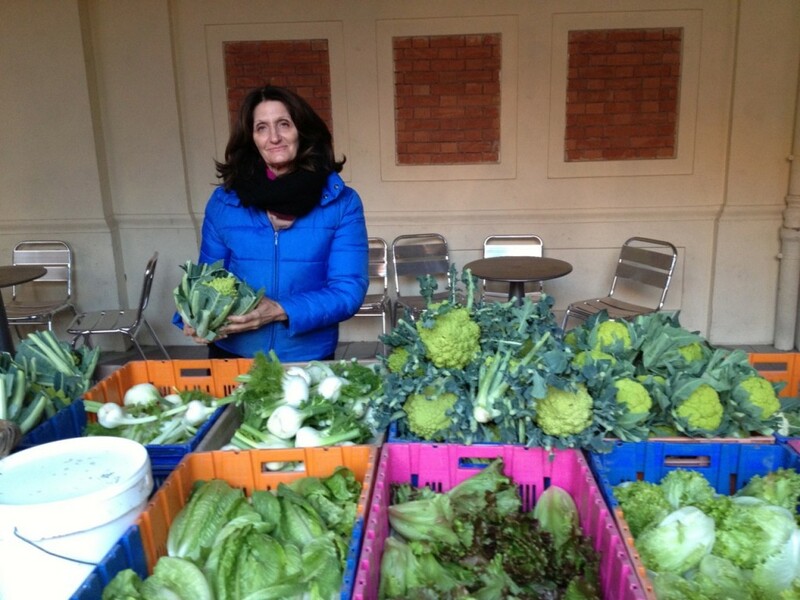 Romy Gallucio, at my local market in Monaco, is one of those people. When I need some fresh ideas for a dinner party, she is my go to resource, and she always comes through with the freshest and most inspiring produce. Not surprisingly, she has been accoladed by many chefs, including Mr. Alain Ducasse whom invited her to showcase her production at his 25th anniversary party last month. I told you I have excellent taste! 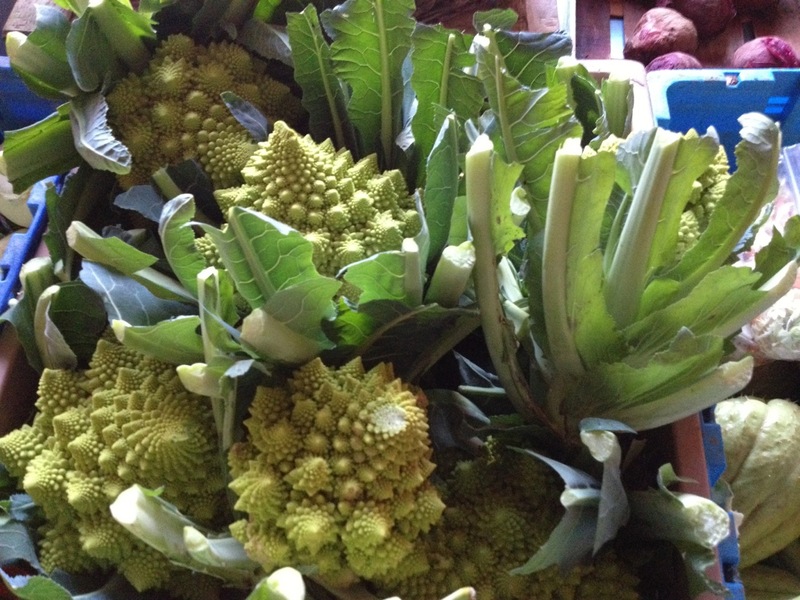 Romy’s Romanesco broccoli has been a staple at my winter table. Her daughter has a thai-influenced treatment in a soup with coconut milk and lemongrass that sounds amazing. In addition, she has some of the best baby gem salads I have ever tasted, along with salads of several varieties and colours. 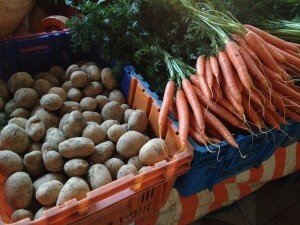 Her carrots and potatoes never disappoint. 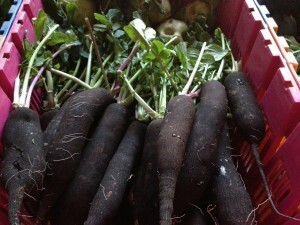 Not to be missed are her black radishes, which are sublime when mandolined into a fine carpaccio or mixed in a salad. 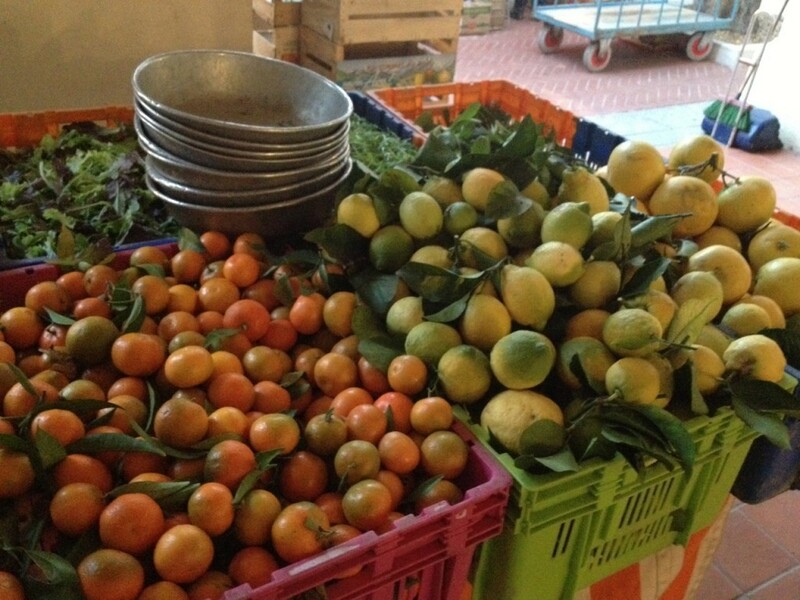 Her citrus products are stellar, with untreated lemons and mandarines all winter long. Their peels are so fragrant and literally infuse soufflés and just a simple lemon Canarino. While I love Romy for her produce, her “claim to fame” are her famous red fruits: strawberries and raspberries. The special microclimate of her farm (near Saint-Jeannet, in the hinterland behind Nice and Saint Laurent du Var) helps her to produce red berries well into winter, and I have seen some of her rasberries this morning! Organic market in a parking lot?